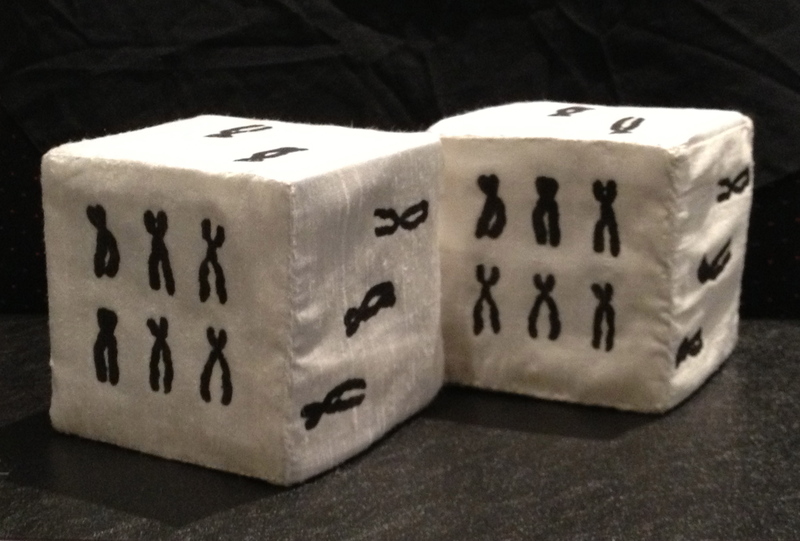 ‘Genetic Dice’, 2013, 9cmx9cmx9cm each. Inkjet print on silk, wood. Hand stitched. Published November 20, 2014 at 3194 × 2160 in Ancestor Work 2013.